Published: Nov. 9, 2017 at 09:29 p.m. Published: Nov. 5, 2017 at 05:10 p.m. Published: Aug. 19, 2017 at 11:31 p.m.
Arizona Cardinals quarterback Carson Palmer finds tight end Jermaine Gresham in back of endzone for a touchdown. 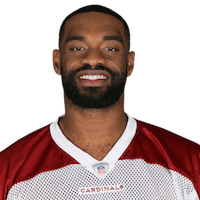 Published: Nov. 27, 2016 at 01:14 p.m.
Arizona Cardinals tight end Jermaine Gresham pulls in 1-yard touchdown reception.